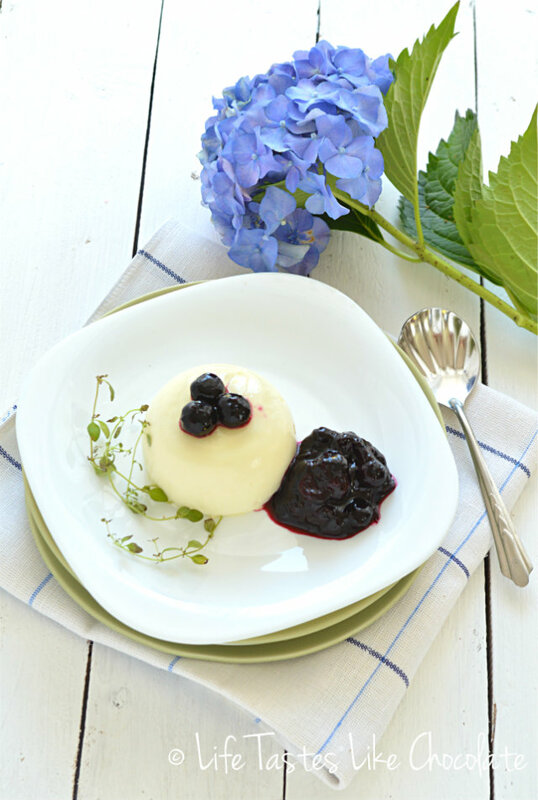 Panna cotta is a dessert that I always order in a restaurant – it seems like a perfect ending of a meal. Light, delicious, wobbly cream with fruit (never chocolate) sauce light on the stomach – and it has the necessary sweetness so my little heart is happy. So far I have always made the classic version of this dessert, but the other day I watched 24Kitchen and found a show where Donna Hay made panna cotta with buttermilk as a light version of the famous cream. I normally have a tendency, when I can, to reduce the amount of fat in meals and this certainly seemed like a good idea in panna cotta. I read a few comments on the recipe and they were positive. Indeed, all the positive reviews are accurate. This cream is wonderful! It’s made so quickly and easily that you will not even be aware that you were cooking, and the result is phenomenal – you’ll get a really beautiful, wobbly, decorative and above all delicious cream that you’ll want to repeat the whole summer with various combinations of fruit. Put a spoon of cold water in a bowl and sprinkle gelatin on it, let it sit for 5 minutes. On low heat cook the cream and sugar until the sugar is dissolved, then add the gelatin and stir and cook (not to boil) until all of the gelatin is dissolved in the cream. Remove from heat and stir in the buttermilk and vanilla. If you plan to remove the panna cotta from the molds later on, then soak them (your cups, glasses, bowls) in cold water and remove the excess - then pour the panna cotta into them. Cool in the refrigerator for at least 4 hours, preferably overnight. When you want to remove the panna cotta from the molds, the first thing to do is to run the tip of a knife blade along the very edge of the cream (just the top). Then plunge the molds for 30 seconds (not to the top, of course) in warm water. Invert onto a plate, and together with a plate shake until the cream is free of the mold. Now pour the sauce as desired. Simmer 150 g of blueberries with sugar and lemon. If you use fresh blueberries, mash one part with a fork in order to make a bit of liquid. Cook for about 10 minutes, until the sugar is dissolved and until you get a thick, syrupy sauce. Remove from heat and add the remaining 50 g of fresh blueberries and stir. Chill. If you are working with frozen blueberries, the last step is unnecessary because they don't have a firm structure as fresh ones do so they will blend with the sauce anyway. 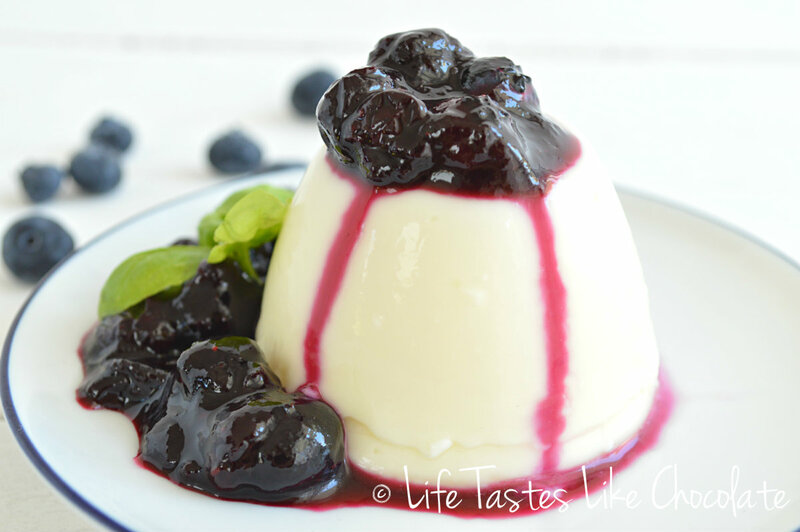 Pour the cold sauce over the panna cotta and enjoy! Bon appetit!